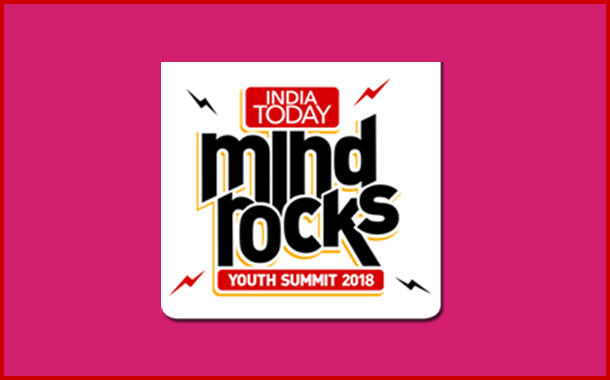 New Delhi : The superstars, youth icons, political leaders and inspirational personalities talk candid at youth summit – India Today Mind Rocks 2018, on 15th September at the Indoor Weight lifting Auditorium, Jawaharlal Nehru Stadium. The heart-throbs of Bollywood Varun Dhawan, Shahid Kapoor and Tiger Shroff along with the talented divas Anushka Sharma, Taapsee Pannu and Radhika Apte will set the stage on fire. The sensational singer Parmish Verma, the youth’s favourite YouTuber Bhuvan Bam and stylish entertainer Raftaar will get the youth grooving to their tunes, while the sports champions, Manika Batra (Table Tennis Player), Lakshya Sen (Badminton Player) and Mehuli Ghosh (Shooter) will inspire the youth to give their best foot forward. The corporate market leaders Kris Gopalakrishnan (co-founder, Infosys) and Ananth Narayanan (CEO, Myntra & Jabong) will add their wisdom on the steps towards success. Not to be left behind, the political leaders, Sambit Patra, Spokesperson, BJP, Priyanka Chaturvedi, Spokesperson, Congress and Raghav Chadha, National Spokesperson, AAP will also engage with the youth on why they should vote. The leaders and achievers will be seen engaging with students and young professionals in this one- of -a -kind power-packed summit. India Today Mind Rocks 2018 will raise the tempo through the day as the speakers and the audience engage in a mix of interactive chat shows, music, dance and lots of entertainment. The speakers in the earlier seasons like Amitabh Bachchan, Priyanka Chopra, Kangana Ranaut , Ranbir Kapoor, Ranveer Singh, Deepika Padukone, Sonam Kapoor, Abhinav Bindra, Kapil Dev, Yuvraj Singh, Mary Kom, Honey Singh, Badshah, Anil Kumble and many more have etched a lasting impression and many electric moments.